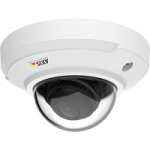 Power over Ethernet (PoE) supplies power to network cameras over the same cabling used for data traffic. 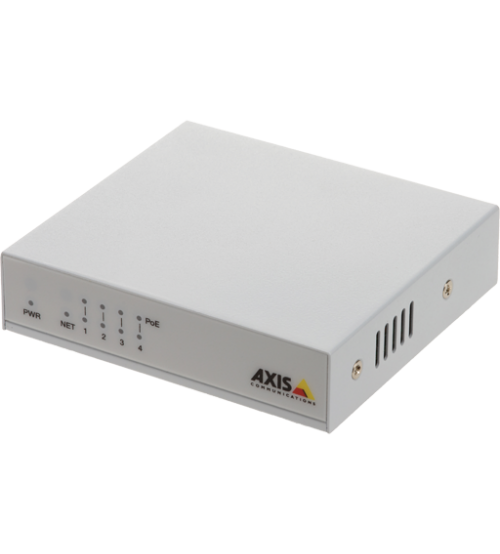 Using AXIS Companion Switch as a central power source, simplifies both installation and maintenance. 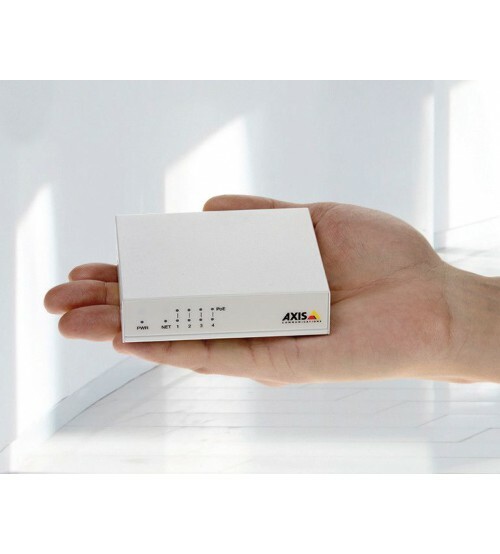 The palm-sized AXIS Companion Switch delivers network and power for up to 4 network cameras with Plug and Play installation. 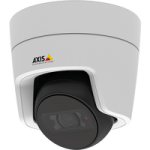 It is perfect for seamlessly scaling your AXIS Companion system together with AXIS Companion Card 64 GB. The switch and the SD card can also be used as a cost efficient recording solution in scenarios where fewer cameras and shorter retention time is needed.